Windows 8 is the next version of Microsoft Windows, a series of operating systems produced by Microsoft for use on personal computers, including home and business desktops, laptops, netbooks, tablet PCs, servers and media center PCs. “Building Windows 8” official blog is starting to drop out a bunch of information about the next version of Windows including. Microsoft has spent a fair amount of time recently talking about its overhauls to Windows Explorer for the next iteration of Windows. 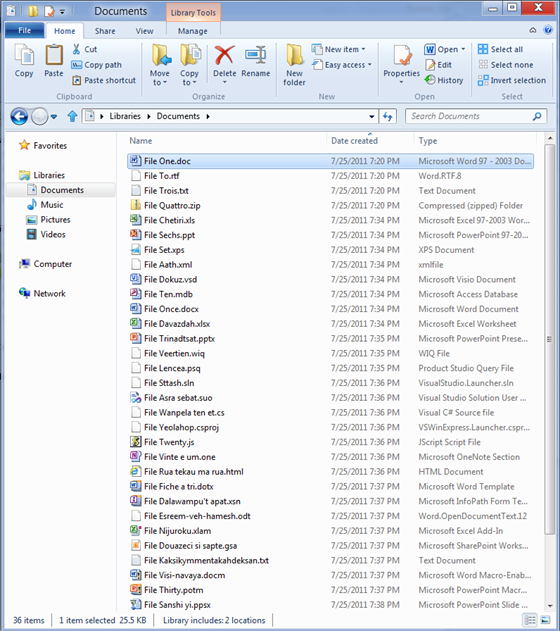 The new Windows Explorer will improve its file management basics such as copy, move, rename, and delete functions, which make up 50 percent of Explorer's usage in Windows 7. The main feature that was shown is the extensively redesigned user interface, optimized for touch as well as use with mice and keyboards. A new "Start screen", similar to the one in Windows Phone 7, includes live application tiles. It replaces the Start menu, being triggered by the Start button or Windows key, and is also the first screen shown on startup. 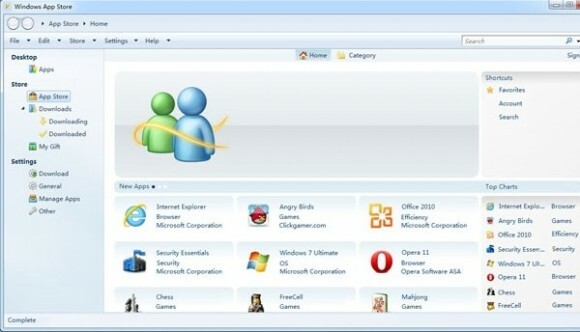 The user can go to the regular desktop by choosing the "Desktop" tile or a traditional desktop-based application. Starting with Windows 8, Microsoft will design its operating system to work not only with Intel's x86 chip architecture, but also with ARM processors. ARM chips are very popular in the mobile device market and should help Microsoft's partners put Windows 8 on a range of so-called post-PC devices such as tablets. To log in to Windows 8 requires just a swipe up from the bottom of the screen. Applications will be launched from a series of tiles. Included in the the start-up menu tiles is a direct link to a Microsoft Store, which suggests Microsoft will have its own version of an online application store, similar to the Mac App Store. While Internet Explorer 10 has been redesigned to take advantage of a touch interface for tablets using Windows 8, the Office suite of productivity applications did not get any makeover for the occasion. Both of these are what an app store will bring to Windows. They will give users of not just Windows 8, but Windows 7 and Vista as well, quick and easy access to a trusted location where malware is filtered out and where the right software can be found, downloaded and installed. For consumers this is a huge plus and for software houses, especially smaller software houses, this will be a huge bonus for them in trying to get the word out that their software even exists. It’s not all good news though and much of the success of the new Windows app store will depend on how Microsoft choose to manage it. The standard app store model was created by Apple, who are frequently criticised for creaming a whopping 30% off the top of a sale. This criticism has stopped them from doing so however and neither has it stopped Microsoft from doing the same with the Windows Phone store. It’s just accepted now that this practice, no matter how irritating and seemingly greedy it may be, is the accepted way of doing things and the price we have to pay. Speaking of Apps, some Microsoft partners are already hard at work designing touch-based apps for Windows 8 tablets. 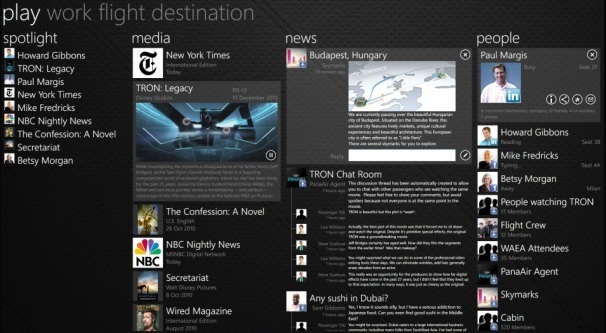 ZDNet uncovered a purported early design for a USA Today Windows 8 app that has a very Metro UI look and feel to it. 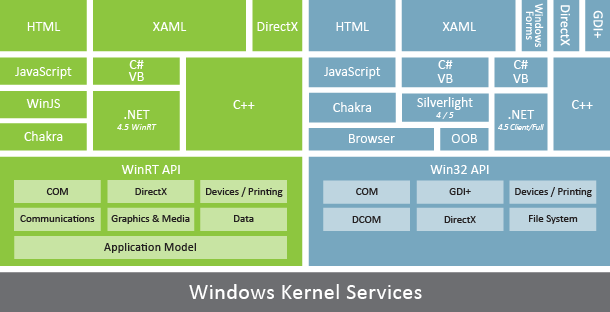 WinRT/Metro style applications differ from the traditional “Windows” look by eliminating the Windows “chrome” such as frames, window borders, control corners, etc. in favor a full screen, immersive experience. Metro style applications are intended to leverage asynchronous features in the UI controls and languages to provide a very “fast and fluid” interface. Continue to use existing technologies, and run the application in the desktop environment. 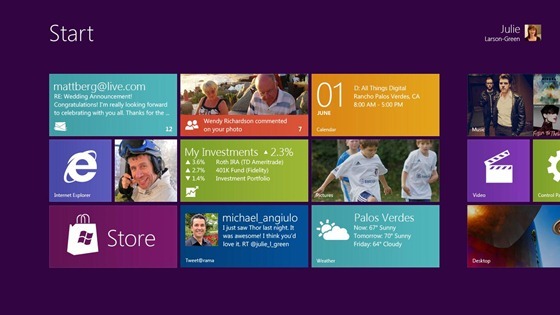 Create a WinRT/Metro style smart client application that takes full advantage of the new WinRT and Windows 8 features. Create a browser-based web application that relies on no plug-ins, so it can run in the browser in both the WinRT and desktop environments. Microsoft is expected to reveal more details about Windows 8 during the company's BUILD conference that starts September 13 in Anaheim, CA. That's all for now, I will keep an eye on Microsoft's blogs for more Windows 8 news. Bread and butter piece of writing mate, you made it in truth near. You bring home the bacon credible selective information and information so we bum set objectively near their execution. Thanks Dora, let me know if I can write about something specific for you.